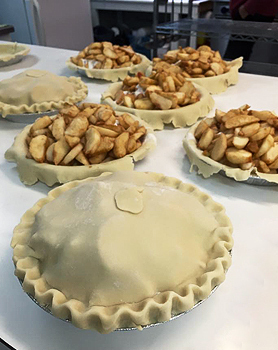 Located in a picturesque part of the Montérégie region, a mere 45 minutes from Montreal, Blair Orchards is home to one of the oldest family farms in the province of Quebec. Since 1889, four generations of the Blair family have contributed to the growth and management of the company. The 435 acre farm specializes in apple and maple syrup production. 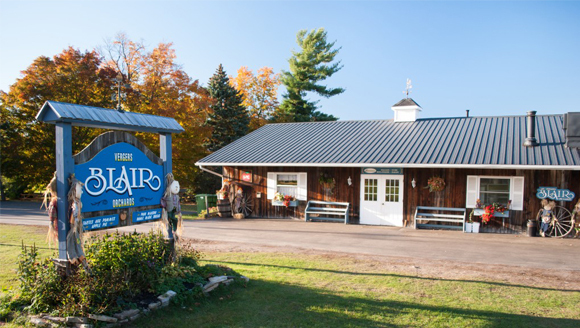 Blair Orchards welcomes schools and organized groups, and offer a wide range of family activities. Guests have access to a picnic area and a large parking lot. Open 7 days a week, from September to November. Our stand is full of delicious treats made from recipes passed down from generation to generation. 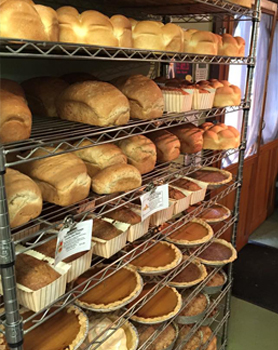 Assorted pies, donuts, muffins, etc. are all made fresh daily and can be enjoyed on our terrace, or taken home!